Welcome friends! Today is our monthly Create With Me challenge hosted by Samantha from Little Bits of Home. At the start of each month, we ask YOU to vote on what material we should use in our next Create With Me Challenge. Then we share our projects using the material you voted for! It is so much fun to see what everyone comes up with! This month you voted for felt, which is great because it is so versatile and I just happened to have felt already in my craft stash! No surprise there, right? Just to let you know the Create With Me Challenge is going to take a little break for the Holidays, but we will return with fresh idea for you in January! 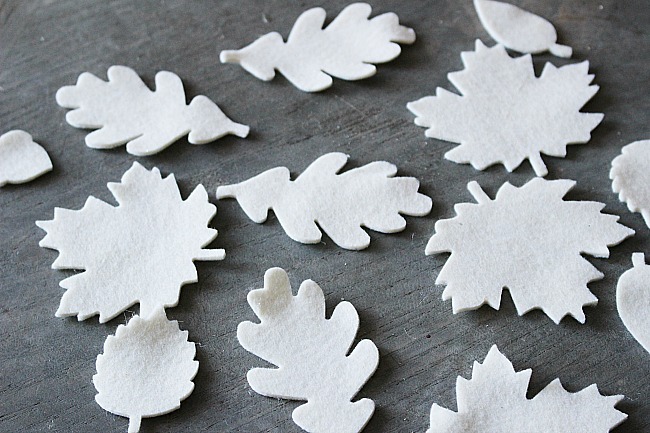 If you don’t have a cutting machine, you can just cut Leaf shapes using scissors. 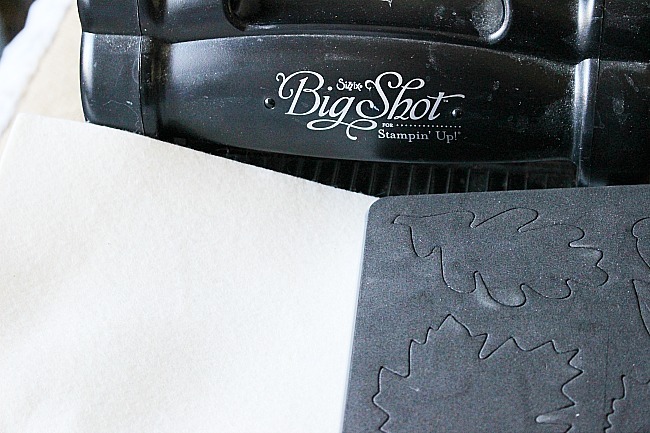 The Sizzix Big Shot just makes it easier. I have had this little machine for many years and still use it quite often. 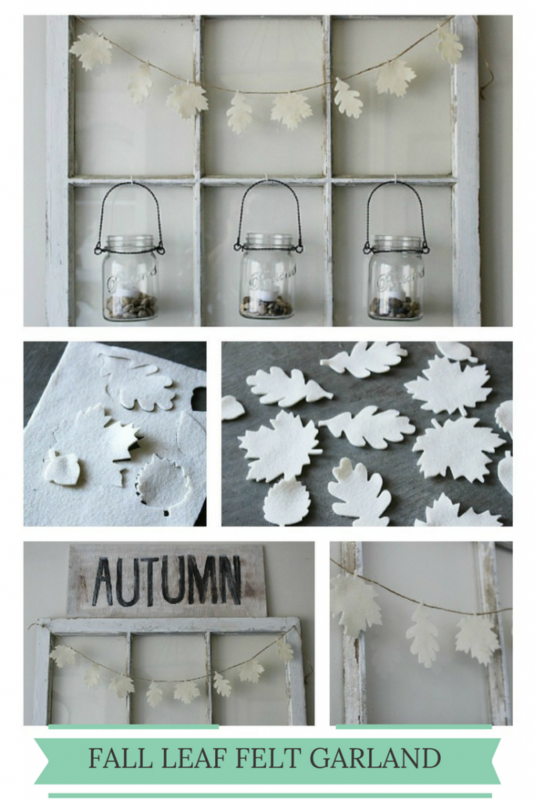 Once you have the leaves cut just hot glue them to twine and you are done! See how easy that was? You could use different color Felt if you like. The possibilities are endless! Michelle, I love this garland so much. It would be perfect with my neutral colored mantel. I need this machine in my life. I have found some old windows and yours look so lovely. Pinning, thanks for the inspiration. Love this! I have been trying to come up with something to finish off my mantel and this is perfect! Do you mind if I share a link to your tutorial on my blog CraftybutClumsy.com? Thank you! Yes I’m always fine with one photo & a link back. Thank you! Shared! Thank you so much! SO adorable, Michelle!! Just perfect for Fall! This is unbelievably sweet! 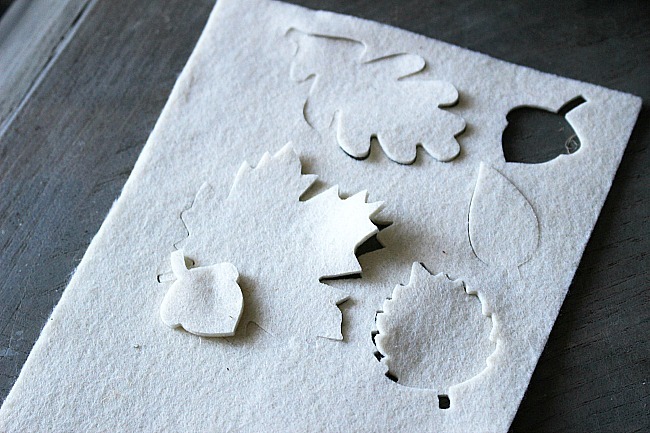 I had no idea you could cut out felt shapes this way. Amazing! And thank you for the inspiration. I love anything with leaves and garland. This is just so cute and did I mention that I love felt too? I love how elegant this looks against the rustic window. The leaf die looks like it will come in handy. I have the Cuddlebug by Cricut and I can’t believe how much I use it. Michelle, you have the best crafting toys! 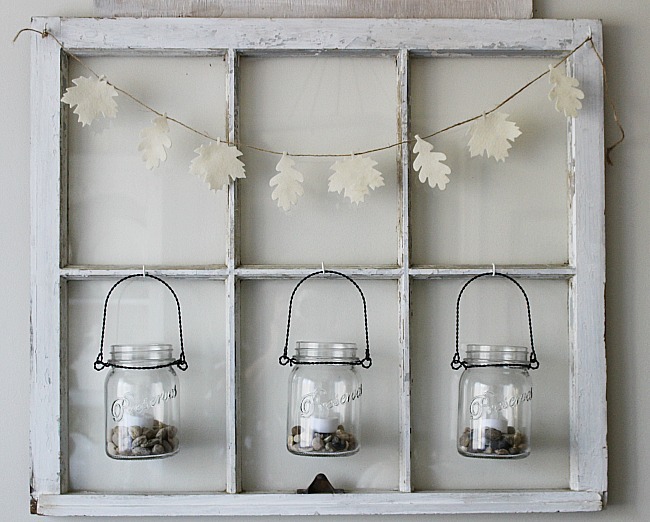 This is so pretty especially with the old window and the jars! 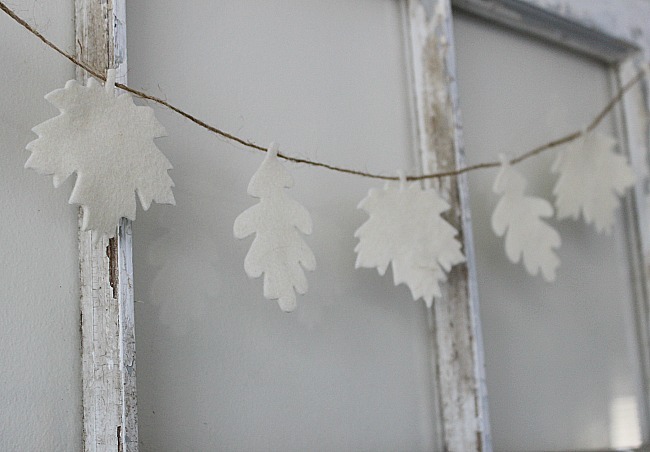 I love an easy project and this garland looks great with your decor! Very simple and very pretty! Love it, thanks for sharing Michelle! 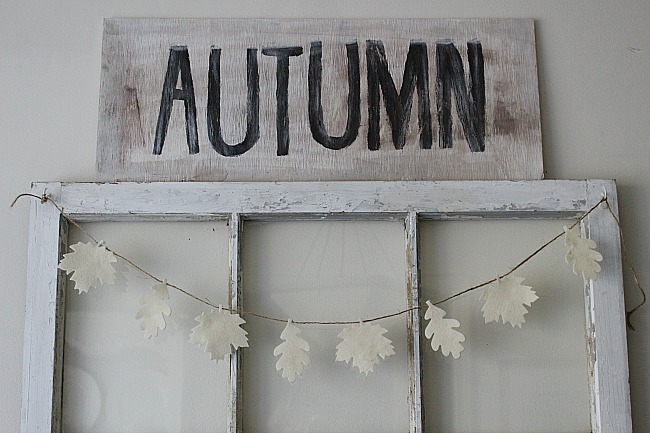 Nice neutral fall garland!